We're no longer the people in the airport or on the train scrambling for every drop of power to keep our devices going through the day. For this we thank Nomad, whose brilliantly well thought out gadgets have kept us charged, sane, and looking like we know what we're doing for a couple years now. As a company (originally funded on Kickstarter), Nomad professes to "believe in minimalist, practical products". After heavy use, we've found that these accessories really will transform one of the more stressful aspects of your travel routine, and of course give you a lot more juice to take pictures, get directions, find the best wine bar, and tell the world all about it. We've reviewed our favorites below (if you decide to add any of these to your travel bag, support Wine:Thirty Flight by doing so via the links we've provided here). This is where it all started for us several years ago. Nomad Key is a little plastic and rubber job that serves as a USB charging "cable" available with either a lightning (iPhone, iPad) or micro USB (Android and many other devices) end. It's no bigger than a key, so we carry them nicely on our key ring. Key lets us plug in for a charge at any USB power source (outlet in a chair, our laptop, an external battery) without carrying a full size cord. This is the essential "start here" accessory; we've been on more than one trip where we've forgotten a "real" cord and were saved by this little guy. As time went on, we found ourselves bringing a couple of these along, and leaving it at that! Meghan loves NomadPlus because she can slip it easily into her purse. The concept is a small battery that wraps around the standard white charging cube that comes with every iPhone or iPad. Our photo here explains everything. Think of it as an upgrade to the standard Apple charger, letting you charge your device when plugged in while doubling as a battery to go. We find that it gives you around 60% of a full iPhone charge, though it appears Nomad may be (inexplainable far as we're concerned) discontinuing the product, so act fast! Andrew's favorite in the lineup, the PodPro is a great answer for those of us frustrated carrying around a charging cable for our Apple Watch and a different cable for our phone. It combines both into a single well-crafted aluminum device about the size of a doughnut. Its built-in iPhone cable also makes it great for keeping in your bag so you can drop your phone in for a charge while you're running through the airport or not using it on the plane. We recommend setting your phone to airplane mode when charging overnight, though, so that it doesn't hit full charge and then begin spending power (PodPro smartly seems to stop charging once iPhone gets to 100%, conserving its own battery life for later). Enter PowerPlant for serious charging: we've generally found it hearty enough to take your phone through a long weekend. 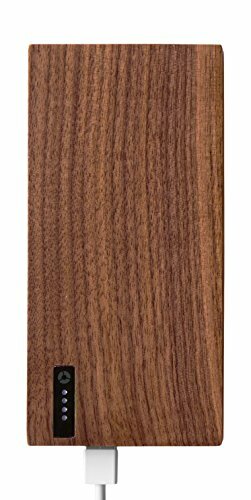 Made from a single block of walnut, PowerPlant (get it? Plant!) looks undeniably cool. It also packs a mighty punch, giving you an advertised 4x phone charges from two separate USB ports. 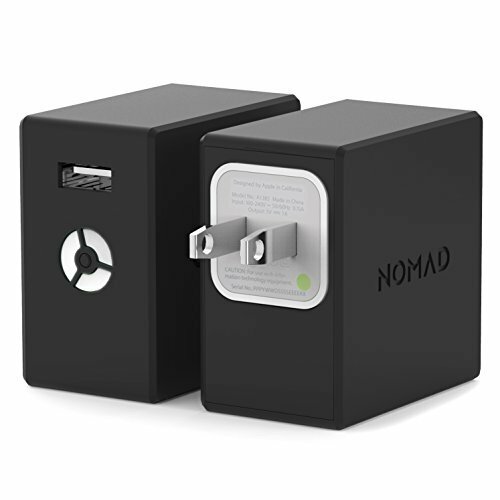 If you and your travel companion each have a Nomad Key, you can charge both of your phones simultaneously (the same unit works for both iPhone and Android based varieties). Andrew carries both a PodPro and PowerPlant in his bag, often lending a charge to Meghan when she's in need. We're classifying this one a "bonus" because it has absolutely nothing to do with keeping your batteries charged on the go... but it looks great! 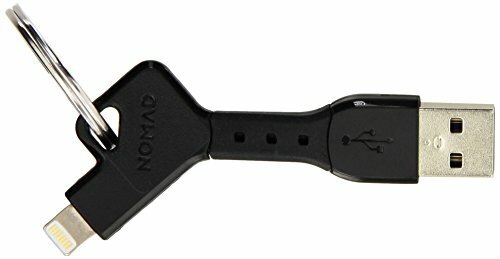 The Nomad Strap is a rugged band that fits very well on your Apple Watch. While its bulk makes it a poor fit on the wrist of many ladies, it also meets an expectation of sturdiness lacking in most of Apple's bands. You know this band means business from the moment you open the box and get a whiff of the true leather smell -- like walking into a fine shoe store -- to a week later when you realize what a beautiful patina this thing will develop as it ages and becomes uniquely yours. It generally wears more casually, so I usually substitute it out when I put on a suit. It's become my go to band for when we hit the road!